We were not alone! 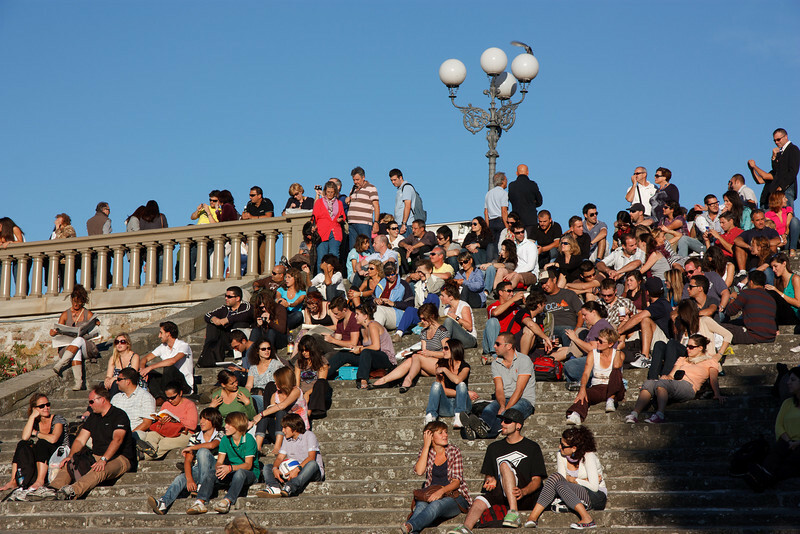 We were joined by many tourists, college students, and Florentines watching the spectacular sunset from the steps of the Piazzale. Can you spot Kathy?